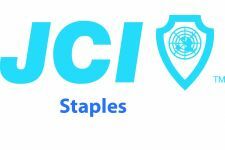 The Staples Jaycees encourage young individuals (ages 18-40) to develop leadership skills, social responsibility, and entrepreneurship to positively impact their communities. Jaycee host social gatherings once a month at local establishments and organize fun activities: Adopt a Highway, Adopt a Park, Punt Pass Kick, Pitch Hit Run, Pub N Putt, and much more! For more information, contact Megan Haber at (218) 330-9341. 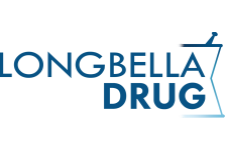 Longbella Drug is a locally owned and operated drug store providing full Pharmacy services and an over the counter health care section. Longbella’s also offers gifts, Hallmark cards, essential oils and home decor! You’re always greeted with a smile at Longbella Drug! Ken’s Collision & Glass Center specializes in vehicle repair, paint refinish, auto glass replacement and all accident related repairs. They offer free estimates. Ken’s Auto Body is owned by Ken and Deb Myers. Give Ken and Deb a call for all your auto repair needs! (218) 894-3714. Established in 1950, Arvig has grown from a small, family-owned telephone company to one of the largest independent telecommunications and broadband providers in the nation. For more than 65 years, the company has been delivering cutting-edge technology to residential and business customers throughout Minnesota. These services include high-speed internet, television, phone, business security, Hosted PBX, managed IT solutions and more. In 2002, Arvig became an ESOP (Employee Stock Exchange Plan) company and today 38 percent of the company is employee-owned. Arvig’s 700+ employee-owners live and work in the communities they serve, and are active participants in local organizations. Community is a core value found at Arvig, and the company takes pride in supporting local businesses, non-profits and schools. For example, Arvig has donated more than $600,000 to local schools via the Arvig School Partnership Program. Currently, Allen Arvig serves as President and CEO, and his son, David Arvig, is Vice President and COO. Allen and David, along with the Arvig leadership team and Board of Directors, drive the strategic direction for the company and guide its progress. Over the years, Arvig has expanded its business and technology services to better serve its customers. Improving internet access in some of the country’s most underserved rural areas is at the forefront of Arvig’s goals. As part of that initiative, Arvig will hire an additional 200 employees in order to meet its commitments to innovation and growth. For more information about Arvig, visit arvig.com or call 888.992.7844.